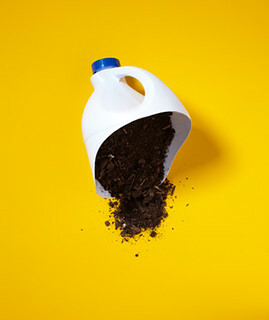 Reusing and repurposing plastic containers such as bleach and juice jugs as well as a ketchup bottle can be very useful. 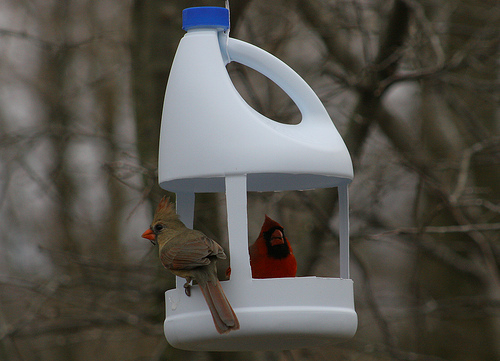 Here is a wonderful idea for reusing a bleach jug to create a bird feeder. Just cut the jug using some sharp scissors and hang it up for a unique recycled bird feeder. Cut the bottom of a bleach jug off at an angle for a handy scoop to use for dirt, grain, sand or other material that you need to scoop up. 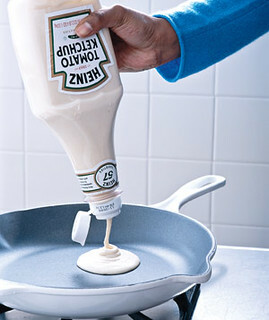 Here is example of a Ketchup bottle being reused for pancake batter. It allows for easy batter pouring and provides a perfect shaped pancake. 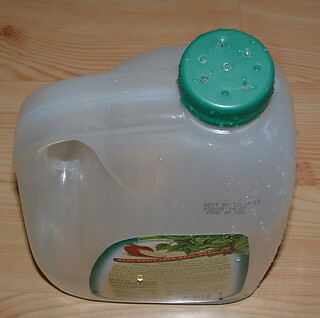 Here is a recycled plastic apple juice container. It makes an outstanding watering jug for your garden. 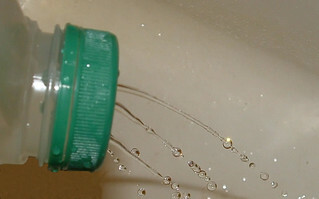 Just poke holes in the lid with a nail to make a water spout. I used a hammer and a nail to punch the holes around the top of the cap as shown. Just put the cap on a old board and hammer the nail through the plastic to create your watering holes. You can gently sprinkle water on plants or squeeze the jug to create pressure which allows you to spray water quite a distance. Conclusion: Plastic containers can be recycled and repurposed into new and useful items.